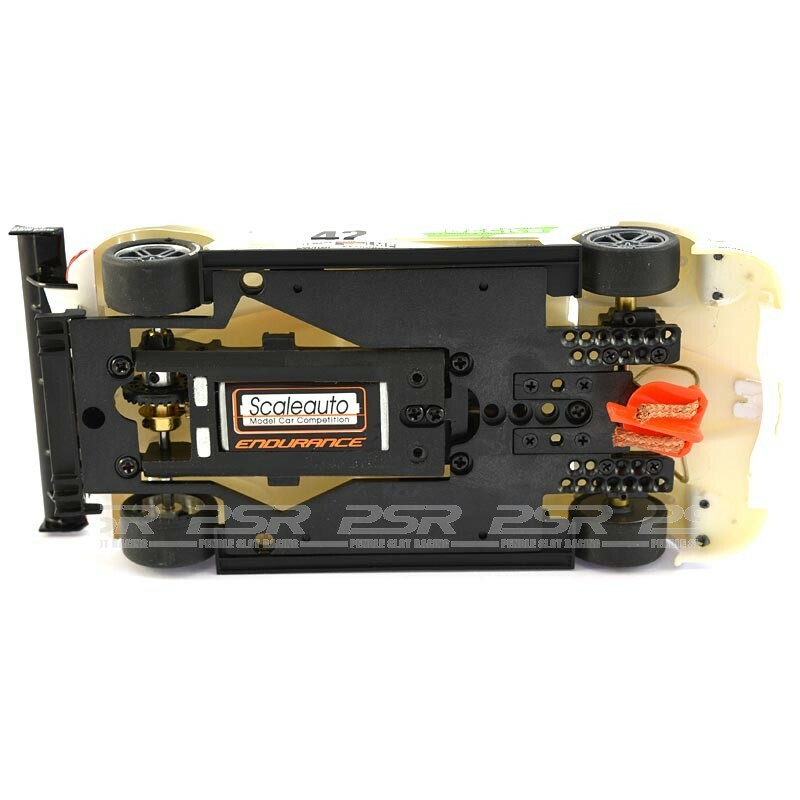 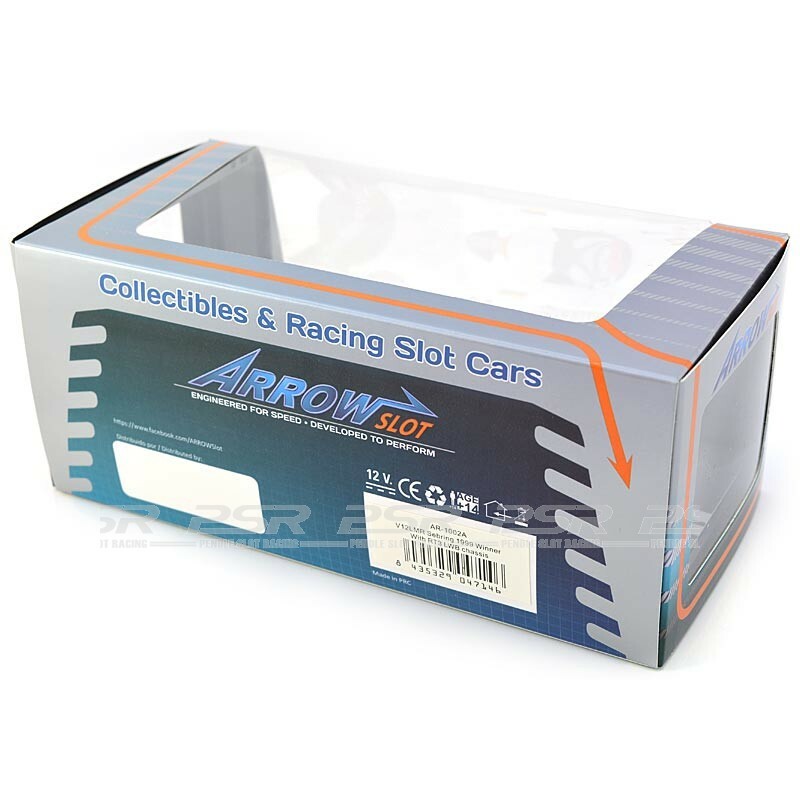 Arrow Slot cars are designed and developed for competition racing. 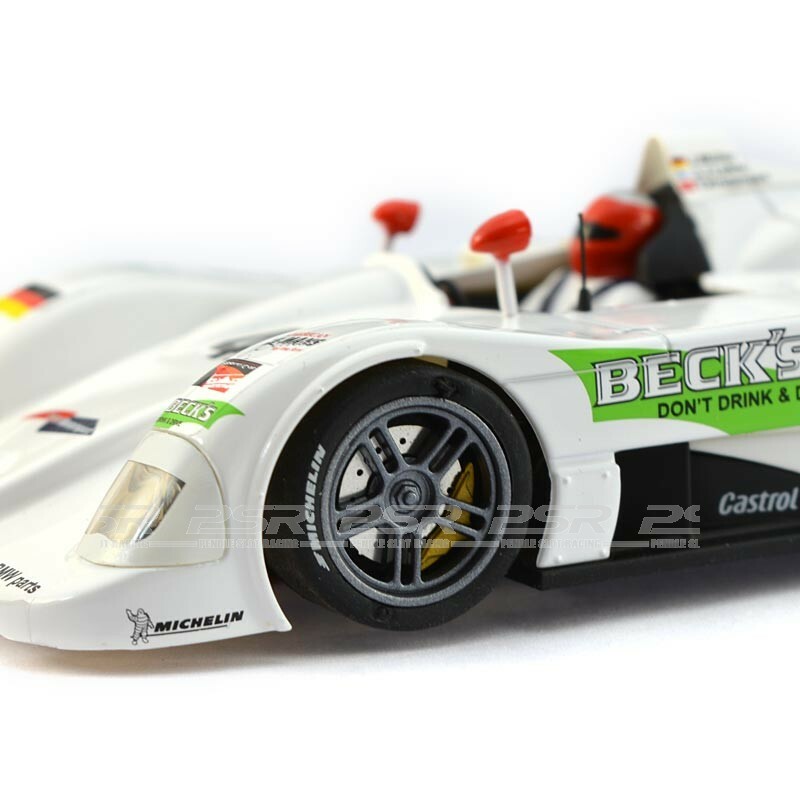 They are powered by Scaleauto parts and feature aluminium wheels. 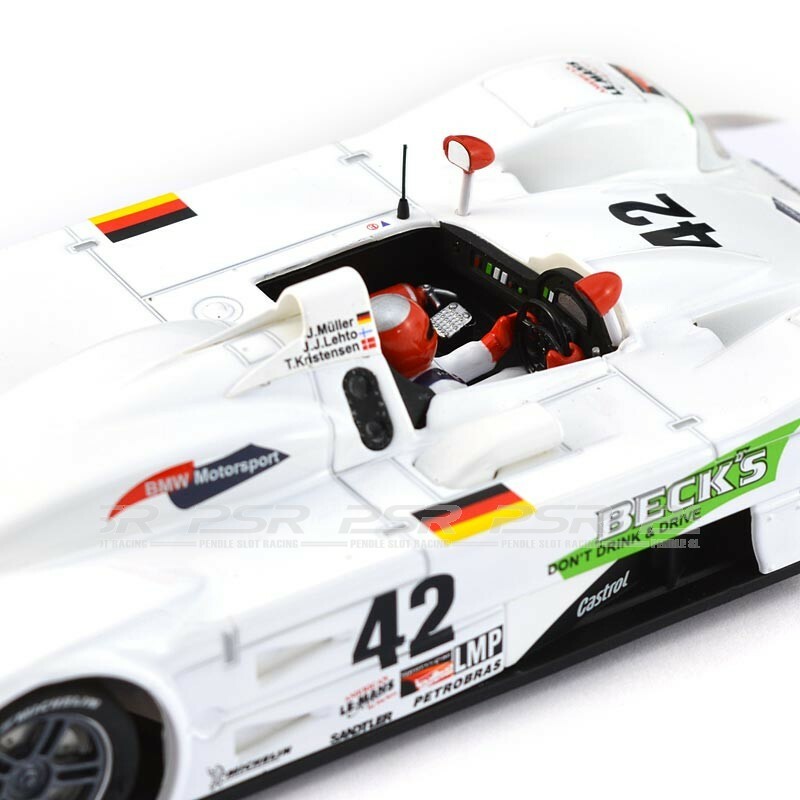 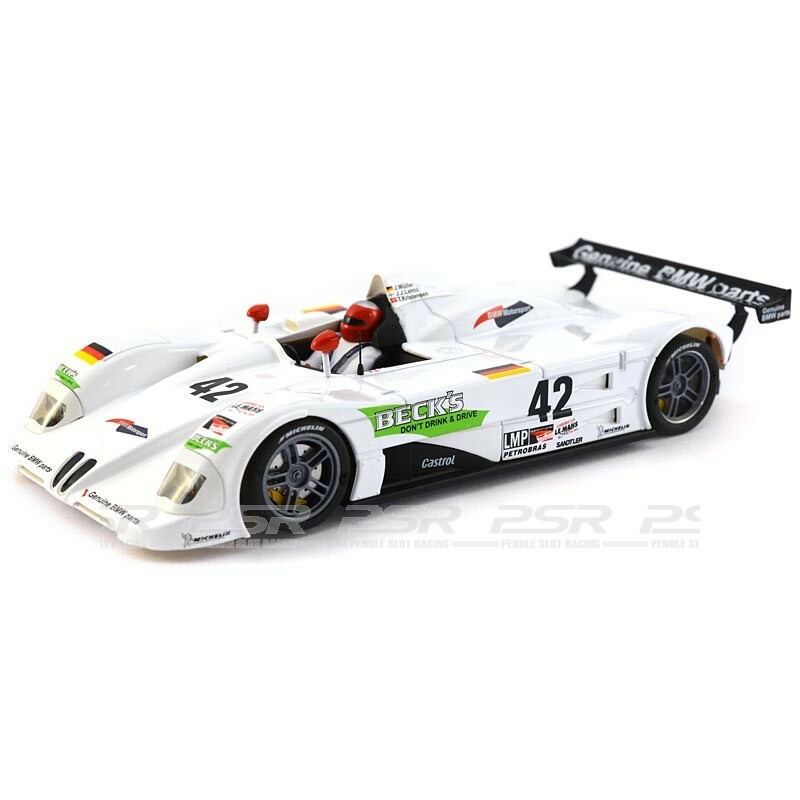 Arrow Slot BMW V12 LMR No.42 Sebring 1999 Winner. 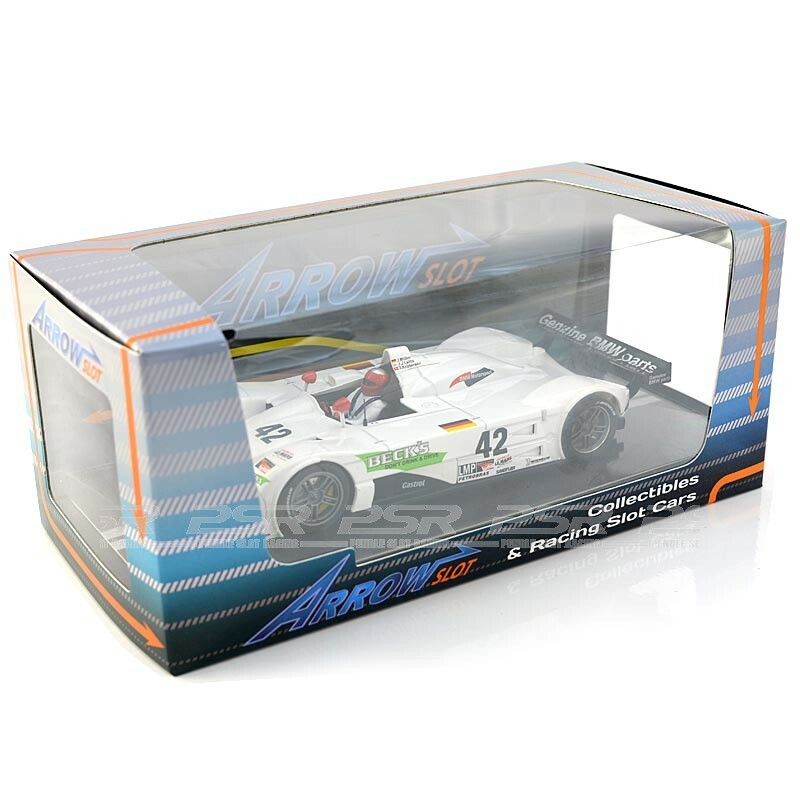 1/32 scale ready to race slot car comes in display box.